Great work. Just curious, in the snapping towel drill, you are landing on the heel in your stride. Was that intentional or just by chance? There are pitching instructors teaching heel first at landing. Once again, good work, and just curious. Hope all is well. Joe, by chance. I want my hitters landing slightly behind the ball of the foot, specifically inside the big toe knuckle. I can’t speak for pitchers, but you can always test different landing spots and compare performance and/or comfort. Yeah, me too. I believe the heel drop/foot plant starts the swing. 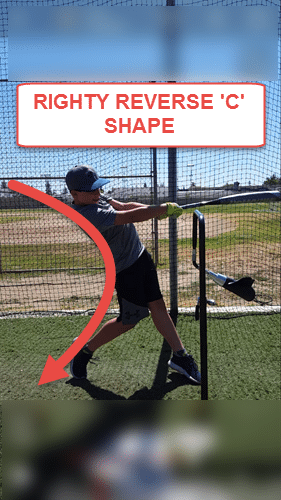 When using this drill with youth, have you come across the issue of them not finishing the swing once they make contact ? The reason I ask is, during the drill yiu are stopping the swing half way. Just curious if that confuses young kids.